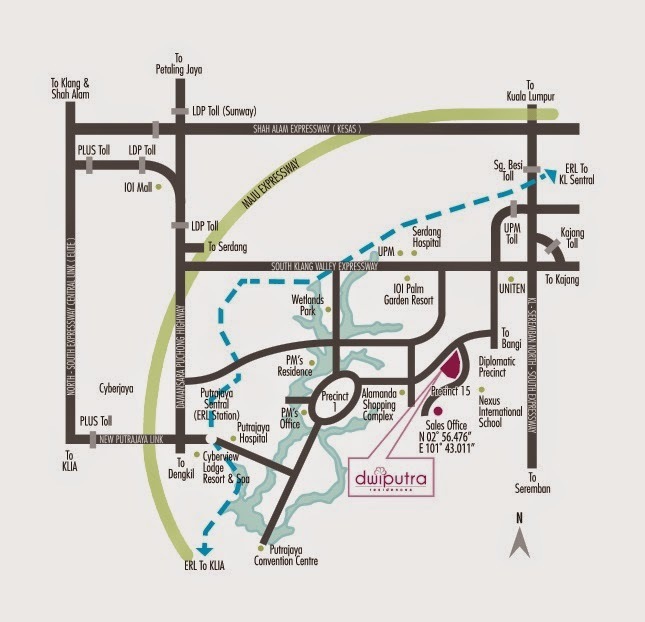 Dwiputra Residences at Precinct 15 is situated in Malaysia's federal adminstrative centre of Putrajaya and is about 25km south of Kuala Lumpur and 20km from Kuala Lumpur International Airport. Dwiputra Residences consists of 4 blocks and has a total of 880 apartment units. 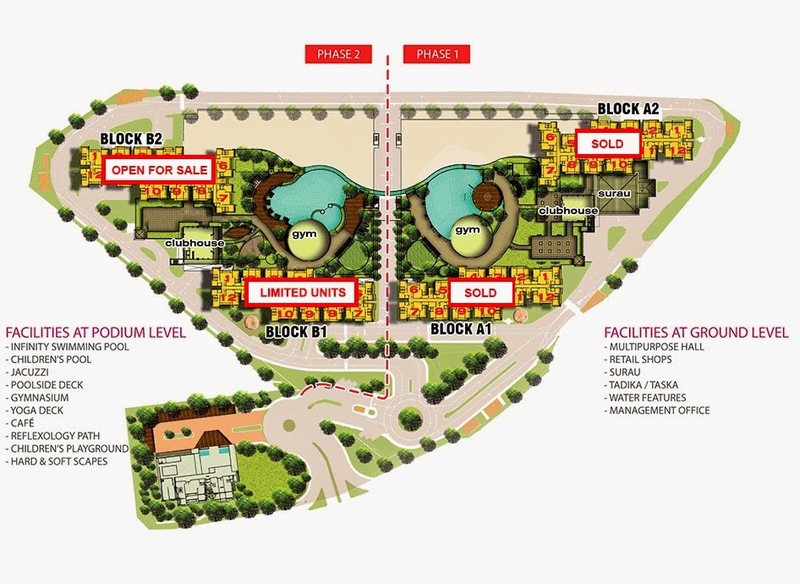 Each unit has a built-up area of 950 sq.ft. 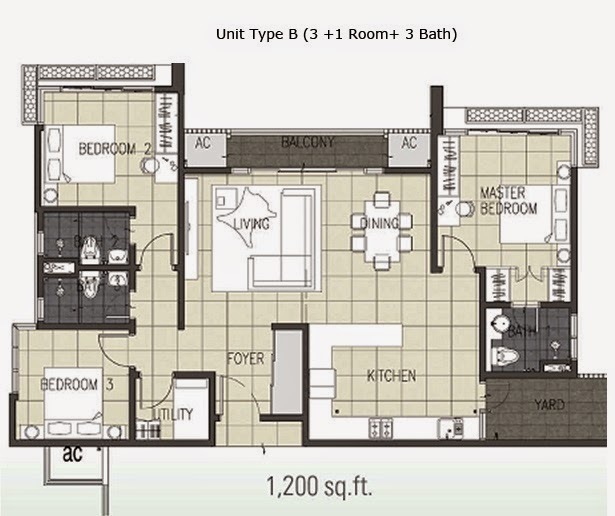 to 1,200 sq.ft. comes with three bedrooms. 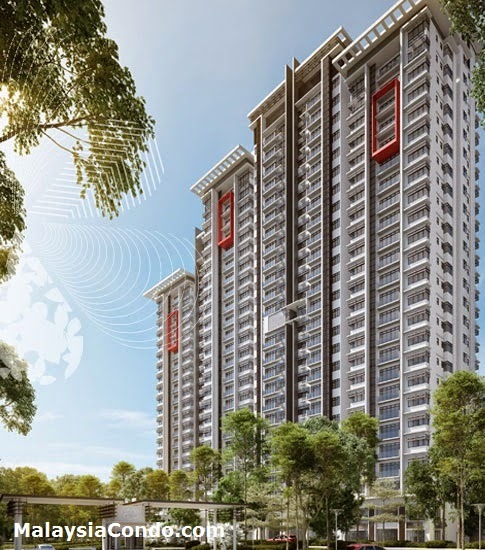 The development of Precinct 15 comprises of double-storey terraces, semi-detached houses, condominiums, apartments, bungalows and a sub-commercial centre. 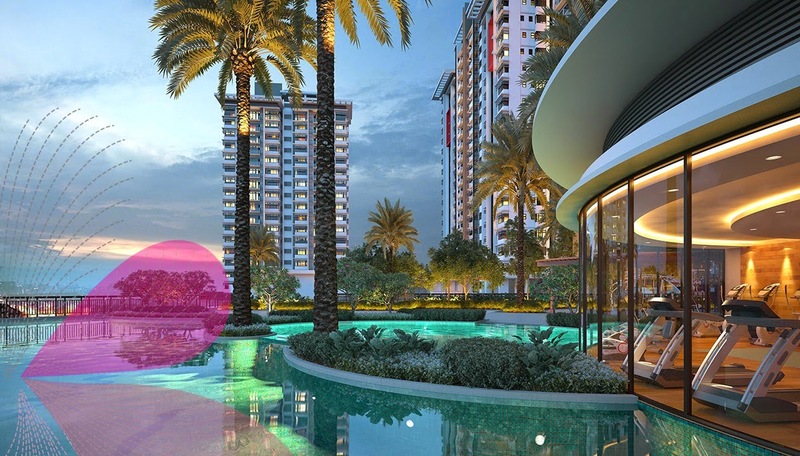 Keeping in line with its two themes of "A City in a Garden" and "An Intelligent City", Precinct 15 is a thoughtfully planned development designed to provide a harmonious and refreshing environment to ease the pressure and stress of modern living with comprehensive, modernised facilities. 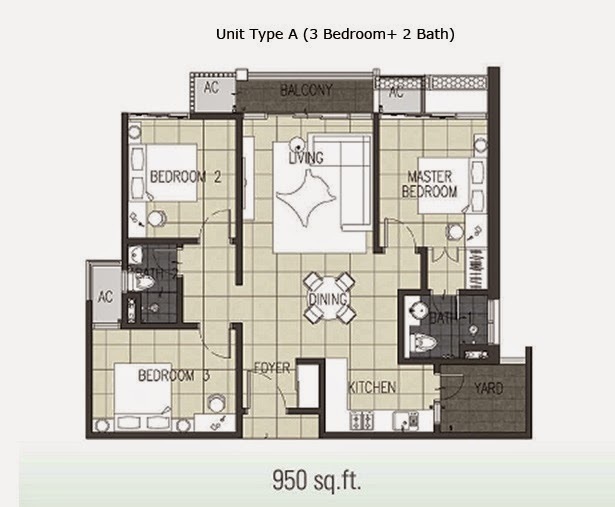 Built-up Area : 950 sq.ft. - 1,200 sq.ft.